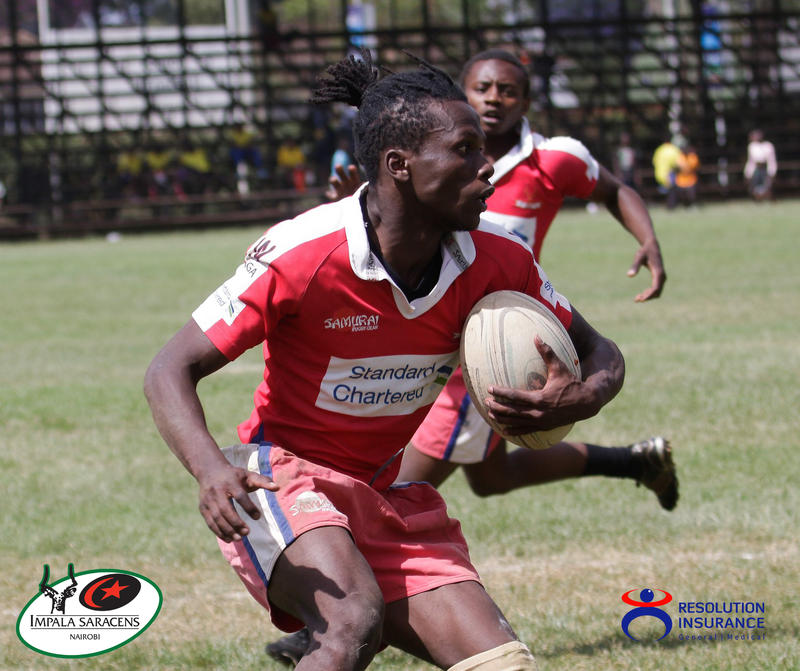 Mean Machine outside centre – Festus Shiasi placed the students ahead when he kicked through the posts after indiscipline by the Impala defence. His glory did not live long. 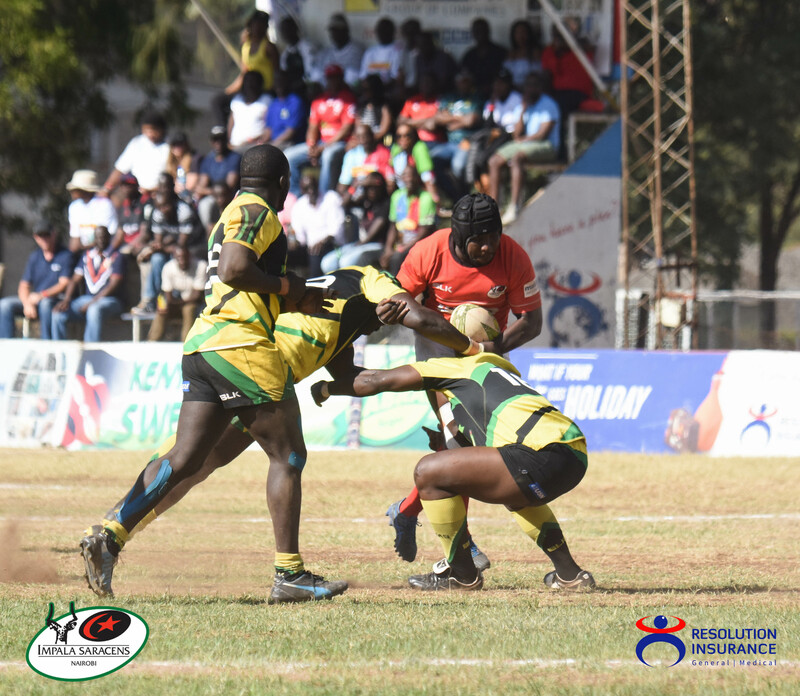 Impala prop – Kelvin Ronnoh picked off ruck, set a maul, let the ball travel to the back of the tunnel before peeling off, rejoining the maul to score. 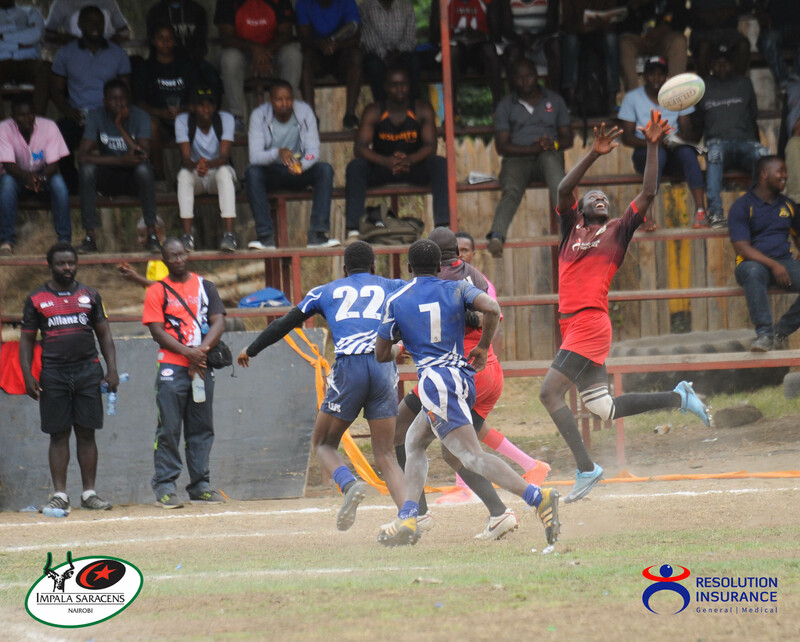 Although Xavier Kipng’etich’s attempt at converting sailed wide, he was good with a penalty kick that followed. 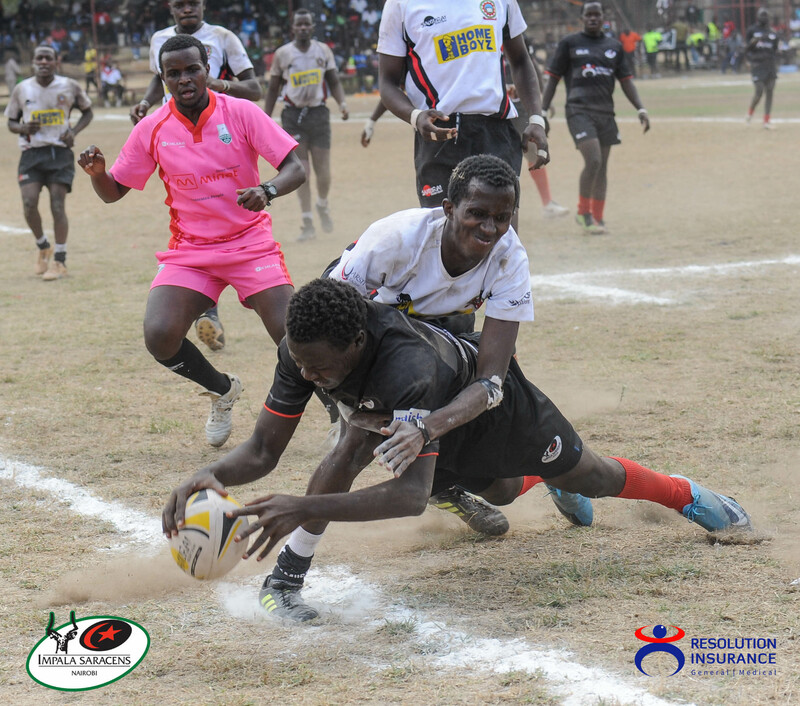 The students controlled most of play, pinning Impala in own half, but struggled with penetrating Impala defence. Spirited carrying however got them rewarded. 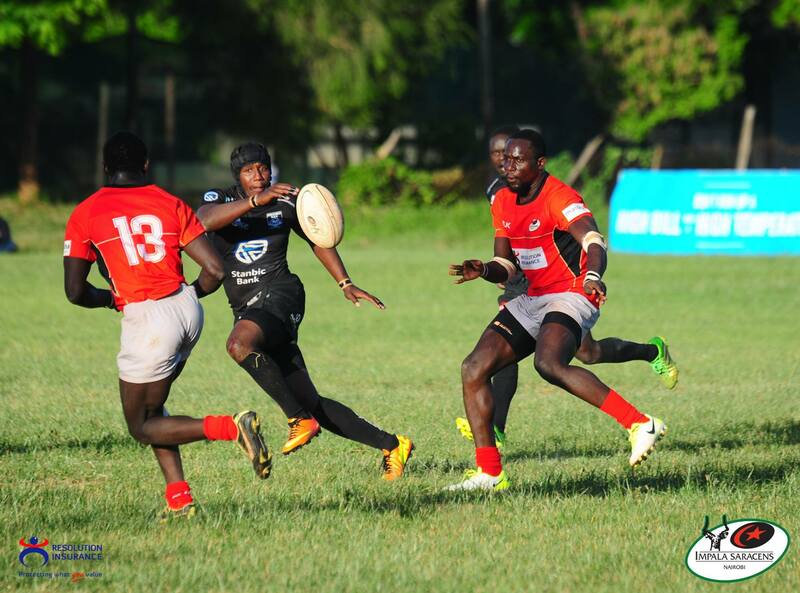 A hit here and there, a pick and go there and here rearranged Impala defence. 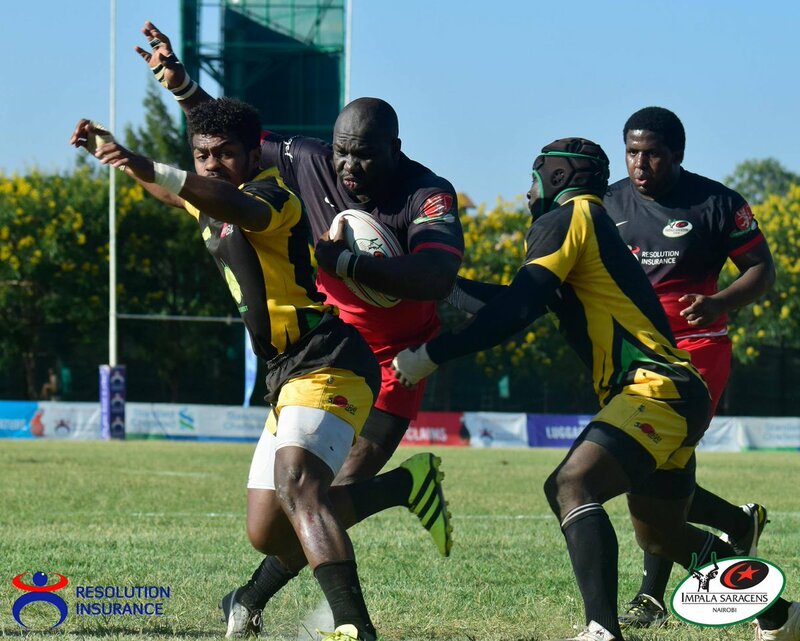 Paul Ekirapa – Machine prop, proved more nimble than Impala prop Edgar Obino, a missed tackle in midfield by Obino opened the door for Ekirapa to gush through and into the try box, flooding the RFUEA stands with chants loud and rowdy. Shiasi converted for a Machine lead. With a machine fan-base that seldom goes quiet, the Gazelles were going to dig deeper into character & the best display of composure came to play 5 minutes before the half-time whistle rent the air. 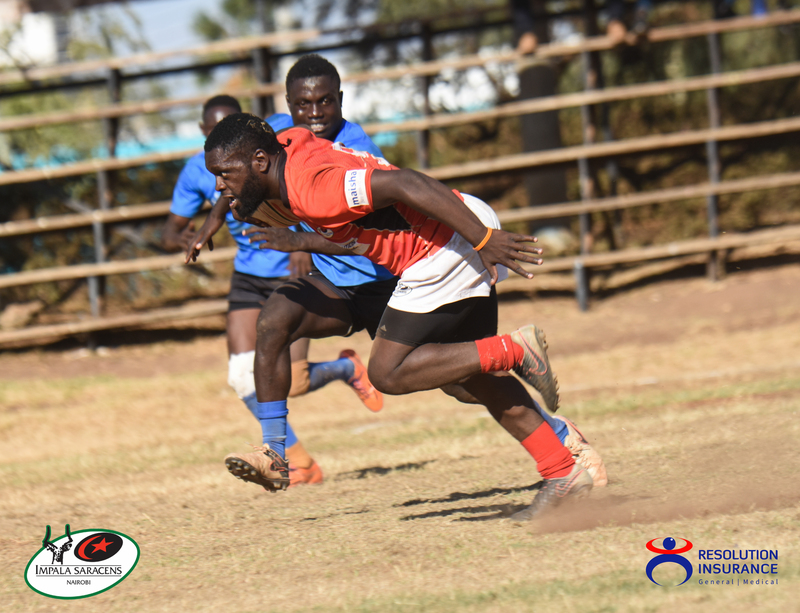 Continuity in play from own 10 opened up Machine defence, Anthony Odhiambo found it easy completing the job, but Kipng’etich struggled with the ensuing boot. 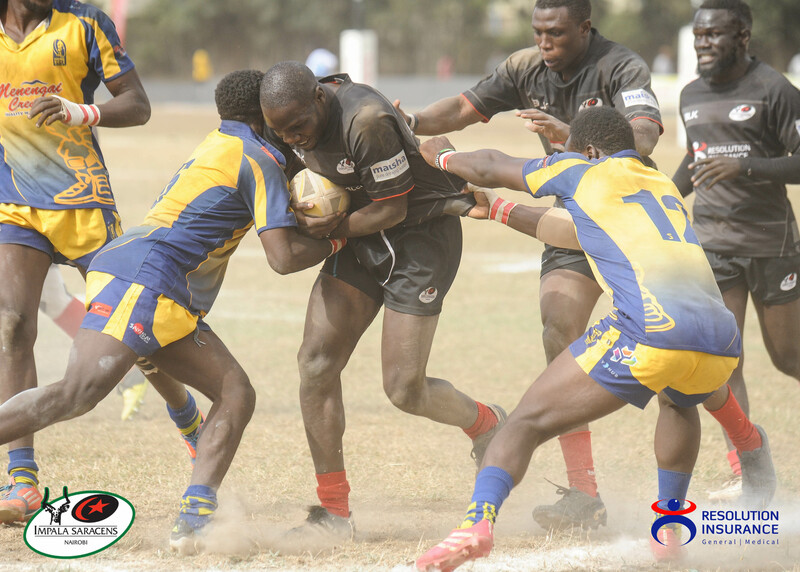 Machine were initially stolid, but Impala proved their hunger for wanting to play in the play-offs. 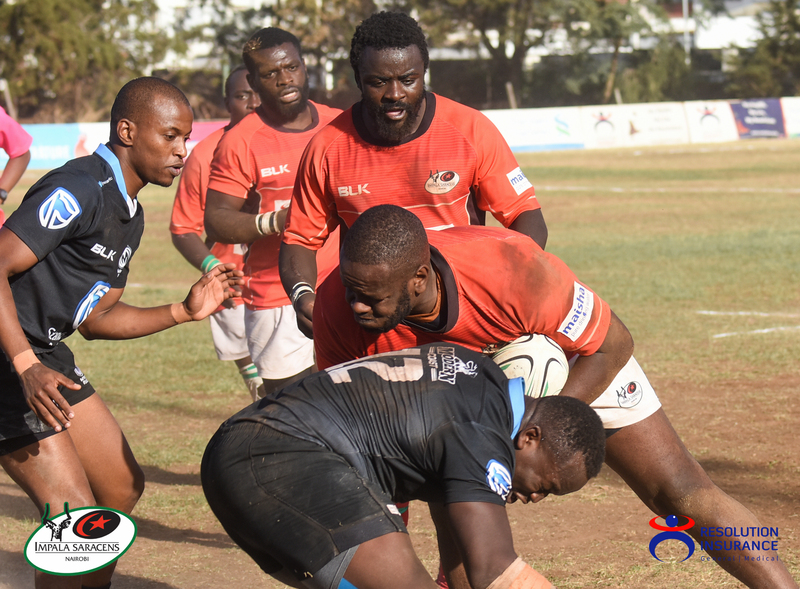 While the opponent chose to play fast paced rugby & in some instances sent chills down Impala fans’ spines before faltering with the finishing, the Gazelles opted to employ patient forward-play laced with pounds of brutality. The result? Machine cracked open twice. 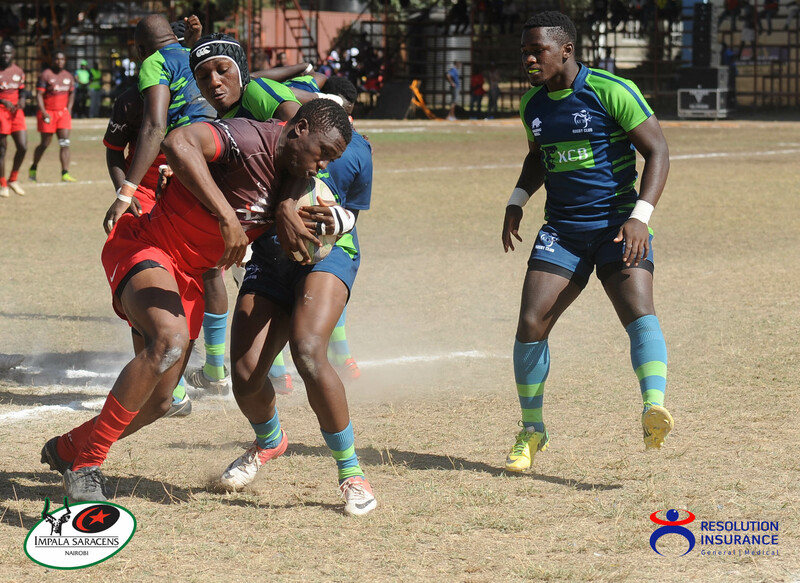 First, through Anthony Nyandigisi & then through Billy Omondi, tries that came as a result of relentless pummelling of the defence by Impala forwards . 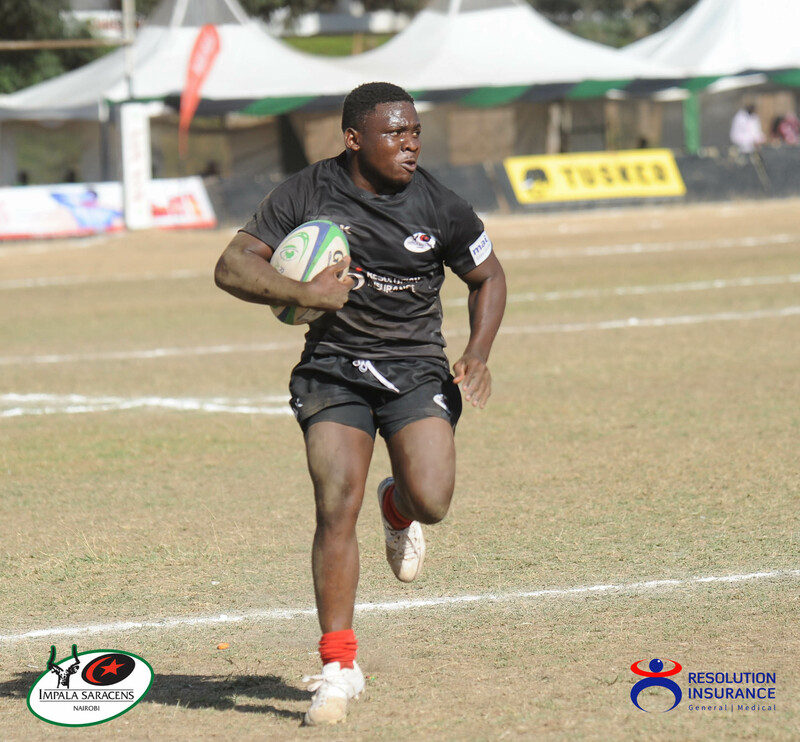 Anthony Odhiambo failed to convert Nyandigisi’s but found redemption in complementing Omondi’s efforts. Could this be the reawakening of the Impala pack? Do we expect to see a firework-filled contest between the Impala & Kabras forwards next weekend? See you at the Impala Club this Saturday 6th April 2019 at 4pm EAT. We are happy that we won today. We probably did not start like we should, but it is imperative that we savour the 5 points gathered today. Going into the next match against Kabras, we’ll need to work on our set-piece. That attacking platform will be very important for us.